If a dog spends more time outside during the warmer months of the year, he’ll need more water. Since dogs don’t sweat the way that we do, they regulate their body temperature by increased panting, which uses more of their body’s water stores. Dogs who go inside and outside often may drink more while they’re in the heat, but returning to a climate-controlled space means they’re not losing that extra drinking water to panting. This brings about a cycle where lapping up more water can make for a dog peeing a lot. Interestingly, while getting a dog fixed can limit his drive to mark territory, the procedure can also lead to cases of incontinence, especially in female dogs. In this context, the reason behind a dog peeing a lot is because she lacks bladder control. There is a distinct difference between a dog peeing a lot because she has to or needs to, and one that urinates involuntarily. Urinary tract infection, or UTI, in dogs, is a common and treatable reason for a dog peeing a lot. Like incontinence, urinary tract infections affect older female dogs at a much higher rate than male dogs of any age group. 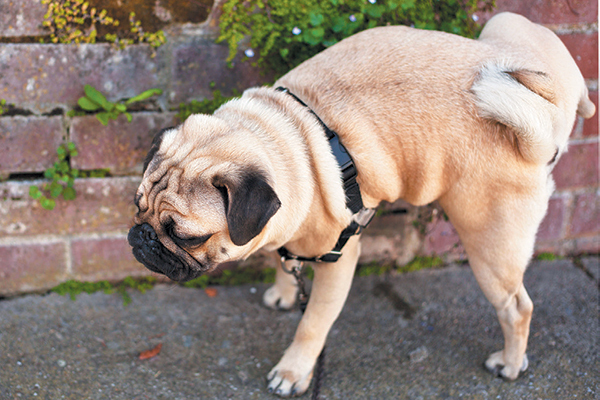 As with many serious medical conditions, though, a dog peeing a lot is not the only, nor the most alarming, symptom a pet parent will notice. What is more likely to catch their attention is hazy or blood urine, a dog who squats for an extended period of time before starting to pee, or one who is whining as they urinate. The biggest culprit is bacteria in a dog’s urethra, which can be resolved with a course of antibiotics.